If you like to add green chillies to your diet, you now have a good reason to do so. A study has found that consuming hot chilies can help in preventing overeating as it triggers an action on the nerves in the stomach, thereby curbing obesity. Researchers from the University of Adelaide discovered that a high-fat diet can impair efficiency of important hot chilli receptors that are located in the stomach and that which signal fullness. Our stomach stretches when it is full and this activates nerves inside the stomach to tell the body that it has had enough food. 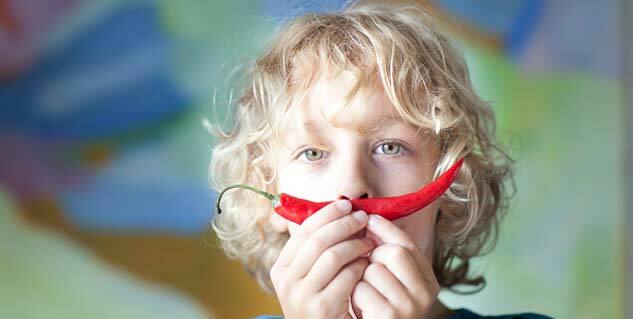 Associate professor Amanda Page from University of Adelaide’s school of medicine said, “We found that this activation is regulated through hot chilli pepper or TRPV1 receptors in the stomach”. The team had also found that TRPV1 receptors tend to be distributed in high fat diet-induced obesity. It is known from studies done earlier that capsaicin, which is found in hot chillies, reduces intake of food in humans. Page explained that deleting of TRPV1 receptors dampens response of gastric nerves to stretch, causing delayed feeling of fullness and consumption of more food. A part of capsaicin’s effect on food intake could be mediated through the stomach. Dr Stephen Kentish, National Health and Medical Research Council fellow from University of Adelaide said that it is exciting that we know how consumption of capsaicin may be able to prevent overeating through action on the nerves inside the stomach. The next stage of the research will include investigation of all the mechanisms that work behind TRPV1 receptor activation with the aim of developing a palatable therapy.